Paid to watch my team play? To say that I am an Arsenal FC fan would be an understatement. I am a diehard fan! A crazy one indeed, and well, for all the good reasons. For the past 10+ years I have watched nearly all the matches that ‘my team’ has played. That’s an accolade I brag about a lot. 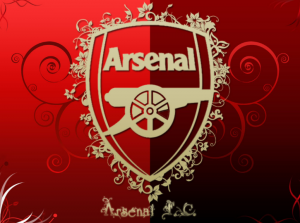 I am a gooner, a gooner for life. My passion for football and crazy love and devotion to Arsenal FC has led me to create this site. I realize if you are deeply into something that you love, a relationship inevitably develops out of that love. This quickly grows to a sense of deep-seated pride, which eventually becomes an irresistible urge to talk about what you are passionate about, believe in and live through. This perfectly captures my relationship with Arsenal FC, and I believe, as a football fan you can relate to that. That’s quite an achievement, folks. Arsenal FC has maintained the highest average league position in the 20th Century. It’s the 2nd most valuable club in England per Forbes report 2016, and has the 5th largest fan base. What’s in it being a football fan? A true fan resonates with loyalty! That’s it guys. LOYALTY. Whether times are good for the team or not, you remain a fan. It’s close to what they do in the military. Wounded or not, a soldier soldiers on and remains true to his troop. Football, as it stands, for a number of years now has been the most popular game in the world. Moreover, club identity has become the new SI unit for identifying a human being. As it is today, football fixtures over the weekends grant all football fans something to look forward to. Hang around friends at a favourite joint, make some noise, and even make some money. Overall, the greatest fun in football comes when one is a supporter of a particular club. The enthusiasm always builds and the anticipation peaks when you know your team is going to play. The adrenaline rush you get when your team goes for a penalty shot is unmatched. Being a football fan calls for commitment in words, actions and even in money. You can tell that by this site. I am committed, and I want to spur on your commitment as an Arsenal FC fan. 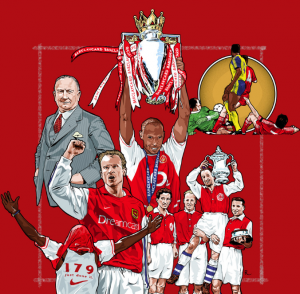 You will get all the sweet details about Arsenal FC right here, with the latest news and facts from the past. Let us keep the conversation going.